Chino Hills, CA—November 20, 2014—AutoBody-Review.com announces the acquisition of a new facility to support additional growth and expansion into new automotive vertical markets in the upcoming months. 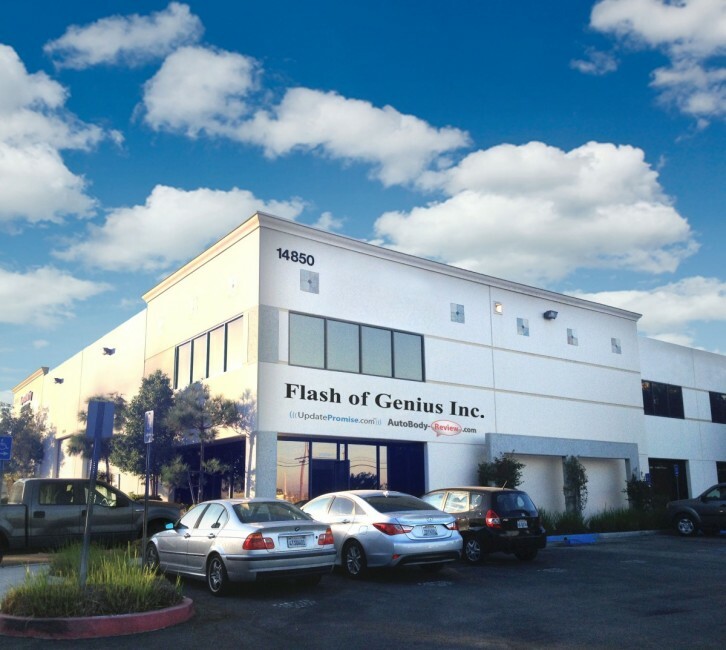 Marking its third move in two years, Flash of Genius Inc., DBA as UpdatePromise.com and AutoBody-Review.com, has purchased a new facility in Chino Hills, California. This new facility, which is triple the size of its preceding location, will be put into immediate use as the company continues to expand into twelve automotive related, vertical markets over the next 24 months. 2013 was the startup year for AutoBody-Review.com, and 2014 was a year of growth. Now, 2015 is shaping up to be a year of expansion for the company. 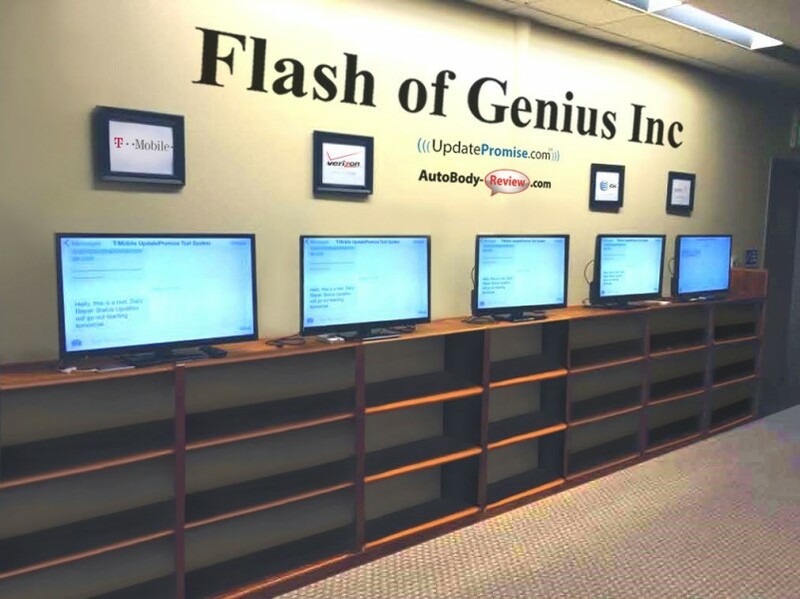 With the new facility, AutoBody-Review.com will be able to further serve their customers, as well as speed their time to market in creating customized automotive based digital marketing solutions. “The new facility provides an open space for the perfect combination of informal collaboration and idea exchange, with offices and meeting rooms specifically designed to allow us to focus and meet in a more traditional sense. In short, there’s nothing we can’t create from here. Our 2015 expansion will be bigger and better because of the new facility,” said Director of Business Development, Greg D’Amore. UpdatePromise.com is a leading communication and information technology provider for insurers, collision repair facilities, and auto service–related operations throughout North America. They enhance their customers’ overall service experience. UpdatePromise.com’s team has developed a unique approach to product development and deployment strategies, in an effort to ensure the greatest possible value for its customers, with leading-edge products that outperform the competition at every level. Autobody-Review.com is leading the way in search engine optimization, social media integration and providing complete brand awareness solutions in which to expand a more inclusive customer demographic. Thank you for fixing my car iam really satisfied with the job.